In the past, hybrid vehicles are normally seen as drab-looking cars and some groups also see them as slow moving. But ever since Honda released its CR-Z hybrid model, those views have changed. Although it may not offer blistering pace but its looks and styling compensate for it. Now, the Honda CR-Z is not only getting faster but also sports an exciting look. 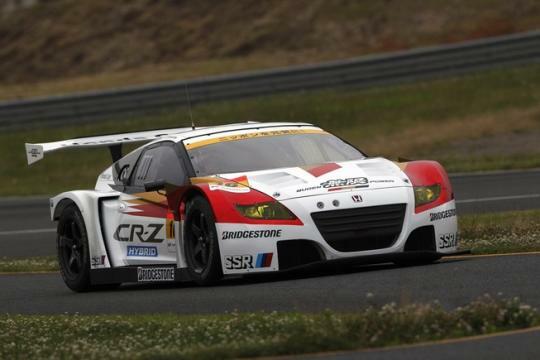 Honda has announced that they will expand their role in the Super GT racing series with the Mugen-powered CR-Z GT. 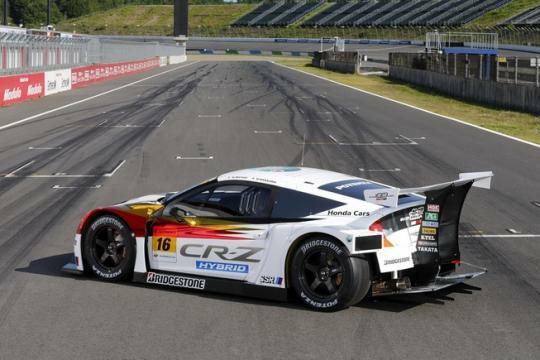 Japan�s Super GT racing series is one of the most exciting motorsport racing series where all types of cars participate (from the humble Toyota Corolla and up to the latest supercars) in their respective classes. 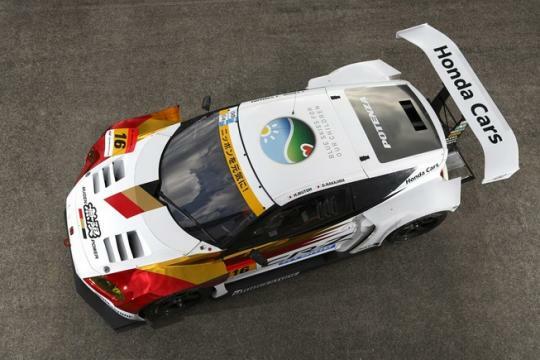 The Mugen CR-Z GT will participate in the GT300 class with the likes of the Subaru BRZ GT300 and the Nissan GT-R GT3. The CR-Z GT features a 2.8-Litre twin turbocharged V6 engine which works in conjunction with a Mugen tuned hybrid system. Although Honda did not reveal the power figures for the CR-Z GT, it�s no doubt that it will churn out more than the stock CR-Z 122bhp.  The car is a two-seater and it is built for track purposes only. Aesthetically, the CR-Z GT is lower and wider than a stock model. It is fitted with a massive rear spoiler that improves downforce, which is a must on the track. The CR-Z GT is fitted with a full roll cage, a race-spec steering wheel and two bucket seats. The coupe�s glass windows have been replaced with weight-saving Plexiglas units. Many of the body panels have been replaced with carbon fibre pieces, for lightweight measures. The CR-Z GT is scheduled to make its world debut at the Sugo GT 300km Race that will take place in Japan on the 28th and the 29th of July. When it shows up at the starting line it will face stiff competition from both Lexus and Nissan.